Easy Bread and Butter Pickles. Just like my Easy Spicy Dill Refrigerator Pickles, these pickles are meant to be consumed within a short timeframe. Canning pickles is more involved and my homemade pickles don’t usually last that long to be canned. These Easy Bread and Butter Pickles require no canning process and are ready to eat within 24 hours. My neighbors have been sharing their bounty of garden vegetables including lots of pickling cucumbers. Having made a lot of sour dill pickles, it made sense to make some sweeter bread and butter pickles. When I was in college, my landlady used to make some really tasty bread and butter pickles as nibbles for her bridge parties. 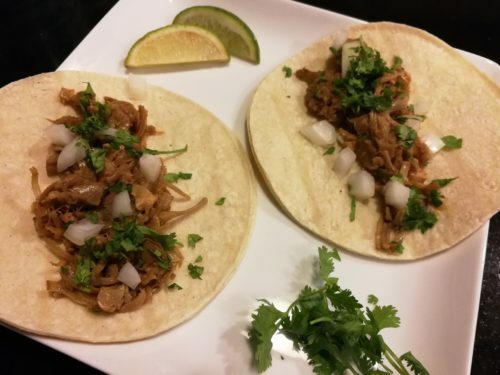 This recipe is a slightly modified version of hers. Start out by slicing some pickling cucumbers into 1/4 inch thick rounds. Slice some sweet onions. Layer the cucumber slices and onions in a 2-quart glass jar. In a saucepan, combine some apple cider vinegar with garlic cloves, mustard and celery seeds, red chili flakes, whole cloves, turmeric for color, sugar and salt. Bring the brine to a boil and stir until the sugar and salt dissolve. Set the brine aside to cool a bit. Pour the brine over the cucumber and onion slices. Add water if the brine doesn’t adequately cover the cucumber and onion slices. Let everything cool for a bit. Refrigerate the jar for 24 hours, stirring once in a while with a wooden spoon. Then you can divide the pickles and onions into smaller glass jars. Be sure to divide the brine and spices equally amongst the jars. You can remove the whole cloves when you serve the pickles. Refrigerate these pickles for up to two weeks…if they last that long…. 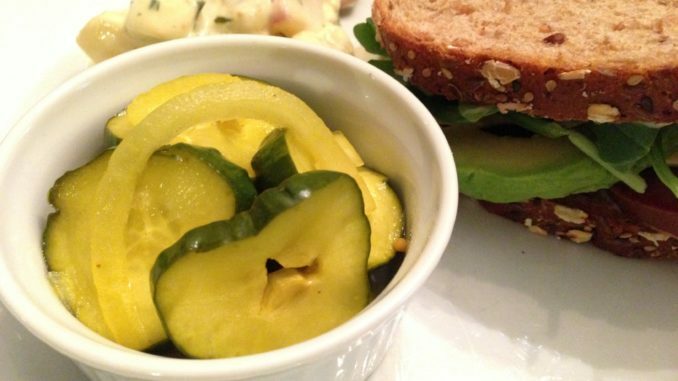 These pickles are best made with “pickling cucumbers“ which have thicker and rougher skins than slicing or salad cucumbers. If you can’t find pickling cucumbers and have to use regular ones, then be sure to cut your cucumber slices a bit thicker. Also, please do not substitute a “pickling spice” blend as you will get a harsher result due to additional spices that are not used in traditional bread and butter pickles. 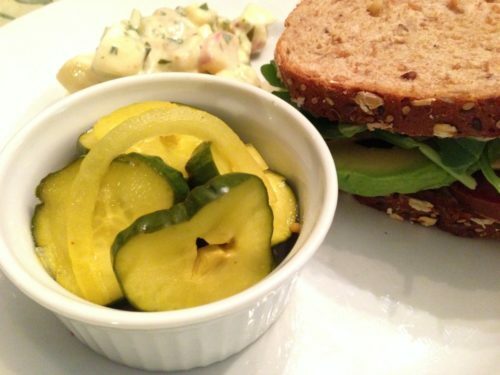 Offer my Easy Bread and Butter Pickles with sandwiches, burgers, or hot dogs. 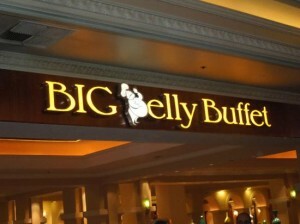 Try them with my favorite Chicken Salad Sandwich or my Grilled Cheddar and Heirloom Tomato Sandwich or The Best Burger. NOTE: Do not substitute any premixed “pickling spice” because it contains spices not used in this recipe. 1. Layer the sliced cucumbers and onions in a 2 quart glass jar. 2. In 4-quart saucepan, combine vinegar, garlic, spices, sugar, and salt. Bring to boil over high heat. Remove pan from the heat and set aside to cool slightly. 3. Pour the slightly cooled sweet brine over the sliced cucumbers and onions in the jar. 4. Refrigerate the pickles for 24 hours, stirring periodically to ensure even absorption of the brine. 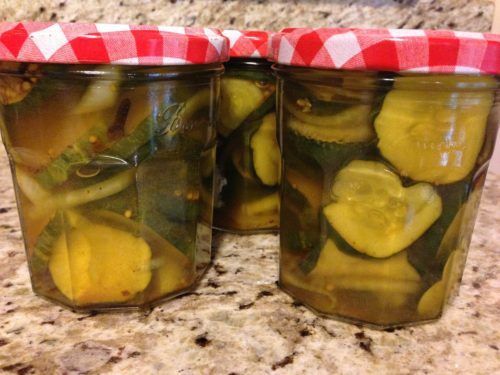 After 24 hours, you can serve the pickles, or you can package them into smaller glass jars, being sure to divide the brine and spices amongst the jars. Makes about 2 quarts of pickles. Serve as a condiment with sandwiches or salads. 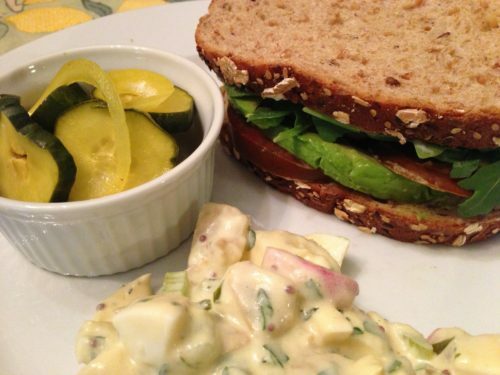 Pickles can be stored in the refrigerator for up to two weeks, if they last that long. 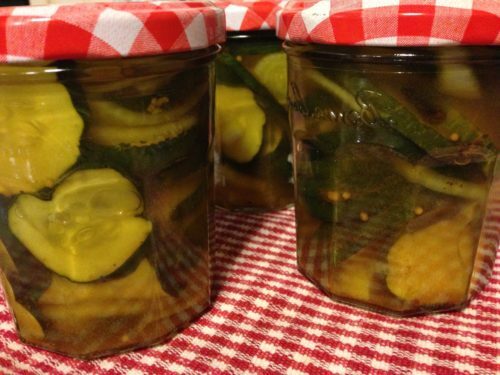 These pickles make great hostess gifts. Variations: You could cut back on the sugar but I think it’s needed to provide an accurate taste for a bread and butter pickle. Use all white vinegar and add some additional sugar. Regular slicing cucumbers with thinner skins can be used but they tend to get soggier due to the sugar in the brine. 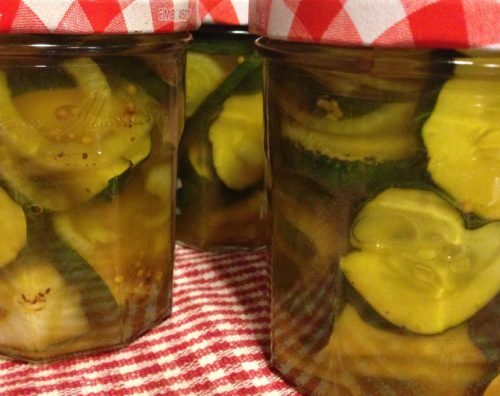 You could can these pickles for longer shelf life if you are familiar with the canning process. As I mentioned earlier, do not use premixed “pickling spice” as it’s a different set of spices which are not used in a traditional bread and butter pickle recipe.